An investment commitment in the right social protection programmes can help countries to leap over others if they decide it’s a priority. But it’s essential to ensure social protection initiatives are aligned with a country’s capacity and to keep the initiatives simple. Countries don’t need to be wealthy and developed to implement an effective and stable social protection programme that fits the needs of citizens, according to Bart Édes, director of the Asian Development Bank’s poverty reduction, gender and social development division. Instead, even lower-income governments must prioritise their development goals, choose the appropriate social protection programmes to implement, based on their available resources, and provide the proper platform for other stakeholders to take part in the process. “What you would generally find is that there’s a correlation between a country’s wealth and the share of the [gross domestic product] going to social protection. But they don’t walk in locked step. [They don’t] have to wait to become rich to invest in social protection and build social protection systems,” Édes told Devex on the sidelines of the Asia-Pacific Social Protection Week at the Asian Development Bank headquarters in Manila, Philippines, last week. Edes added that an investment commitment in the right social protection programmes can help countries “leap over others if they decide it is a priority”) because it helps the poor get out of poverty, provides coverage against risks for the vulnerable, and assists the unemployed to become productive members of society — elements that lead to the achievement of sustainable and inclusive development. While social protection — or policies and programmes designed to reduce poverty and vulnerability — has been around for decades with experiences spanning globally, the narrative has been a mix of good and bad. For instance, Latin American countries have had unintended consequences while implementing their social insurance programmes, according to Santiago Levy, Inter-American Development Bank vice president for sector and knowledge. The Asia-Pacific region, meanwhile, is beset by the problem of the “missing middle”, with 2.2 billion people still working in the informal sector where social protection programmes are largely absent. The Asian Development Bank event served as a platform for hundreds of development professionals, government officials, civil society representatives, private sector players and members of the academe to share insights and experiences on the innovations in social protection programmes, and discuss opportunities and challenges in implementing them, particularly in view of the Sustainable Development Goals. “The experiences … have made it clear that governments not only can afford greater investment in social protection, but that failure to construct durable social protection floors will take a large social toll when the next inevitable crisis unfolds,” Bambang Susantono, ADB vice president for knowledge management and sustainable development, said in his opening speech at the weeklong event. 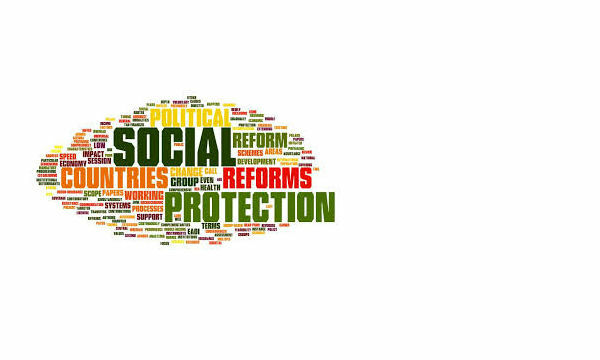 While success is not entirely guaranteed for countries that implement social protection programmes, experts agree that finding the right social protection initiative aligned to a country’s capacity and capability is essential. “Governments have to have a clear vision of what they want to achieve … of what social protection should look like,” Levy, who pioneered Mexico’s social assistance programme Oportunidades (now called Prospera), shared. 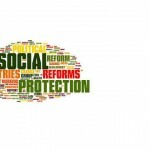 Social protection programmes are generally divided into three main categories: social assistance which provides “unrequited” transfers to the poor, which include cash transfers, child welfare, and disability benefits; social insurance, which uses contributory schemes to help cover people against risks and vulnerabilities; and labour market programmes that generally help people secure employment in both the short and long term, such as skills development and training programmes. Data from ADB’s latest Social Protection Index shows that 67 percent of all social protection expenditures in Asia is focused on social insurance, while social assistance and labour market programmes amount to 30 percent and 3 percent, respectively — indicative of the region’s continued growth and sophistication in understanding the importance of social protection. Édes shared that getting the right programmes in place could lessen programme overlap and unintended consequences. “One of the great challenges is that oftentimes you have a fragmentation of programmes … that are adopted overtime. A social insurance programme over here, a social assistance programme. They overlap sometimes. They create perverse incentives, paying people not to work when they might want to work,” he said. Social protection in the Asia-Pacific region — and, to an extent, globally — is also facing an uphill battle to convince governments and other development stakeholders that investments will produce adequate returns. The region spends about 3.7 percent of its GDP per capita on social protection programmes, with East Asia registering the highest spending rate within the region at 6.5 percent, according to SPI’s figures on 25 countries analysed. Countries with the Organisation for Economic Cooperation and Development, on average, spend over 20 percent of their GDP on social protection. The missing pieces in the discussions, the ADB official added, is the needed attention to detail to implement and take the key points from the ongoing discussions and dialogue to action, “which requires a strong layer of strong political will, of government support, and oftentimes an expression of interest from society”. There is also the issue on having more of an evidence-based approach in crafting and implementing social protection programmes. Frances Lund, a former director at Women in Informal Employment: Globalizing and Organizing, said that implementing such an approach across all sectors in a country is a “really important trigger” to make social protection effective. Levy also shared that one of the opportunities and advantages that the Asia-Pacific region has is the lessons it can learn from the experiences of other regions across the world — particularly on using data.